And after the excitement of Day One…Day Two came along for all of us to learn, connect and have fun! I started my day with Mike Harrison’s super session Before Words: Ideas for Using Images and Sound in the Classroom. It was the first time I had attended Mike’s session and I loved it! I got so many ideas about what you can do with pictures and sound effects in class. We even did a visual poem. I teamed up with Deniz Atesok, a great educator from Turkey in the activities that Mike showed us and we came up with some great ideas! I will definitely be using his ideas with my students – and I will definitely be attending more of his sessions in the future. You can find a plethora of ideas on his great blog! A big thank you to Mike! Right after Mike – the drama specialist and enthusiastic presenter (and very good friend – I am so happy to know her!) Anna Musielak! Ania’s presentation was called Break the Ice with Drama. I had seen Ania last year as well and I could not wait to attend her session this year either! Ania presented so many ideas, you definitely have to catch her at a conference – her enthusiasm is amazing and so are her ideas, which work with all ages. We took part in many activities and could see in practice how great these ideas are. I loved how Ania’s ideas made everyone so enthusiastic, lots of people volunteered to take part in the activities. Lots and lots of ideas. Ania is also star guest blogger on many blogs, including mine. Her posts are definitely worth reading! Thanks so much, Ania! After our lunch break, it was time to see Cecilia Lemos in action in her session, Ideas for Improving Studentsʼ Writing Skills: My Experience. Ceci gave us amazing ideas of how to integrate writing actively in our classes – a skill that has been often disliked by students for the reason that (we have all heard it and Ceci pointed it out as well) they have nothing to write. She introduced us to some nice tips for writing, such as motivating the students into writing the essay paragraph by paragraph wothout even realising it, and then putting them all together to make their very own writing piece – and prove to themselves that they can write! I also like how Ceci told us how she motivates her kids to read – they all read the same book, which she has chosen carefully to be apporopriate for all tastes and for both genders. She has also done a webinar on the same topic which you can see, along with other super posts, on her blog. 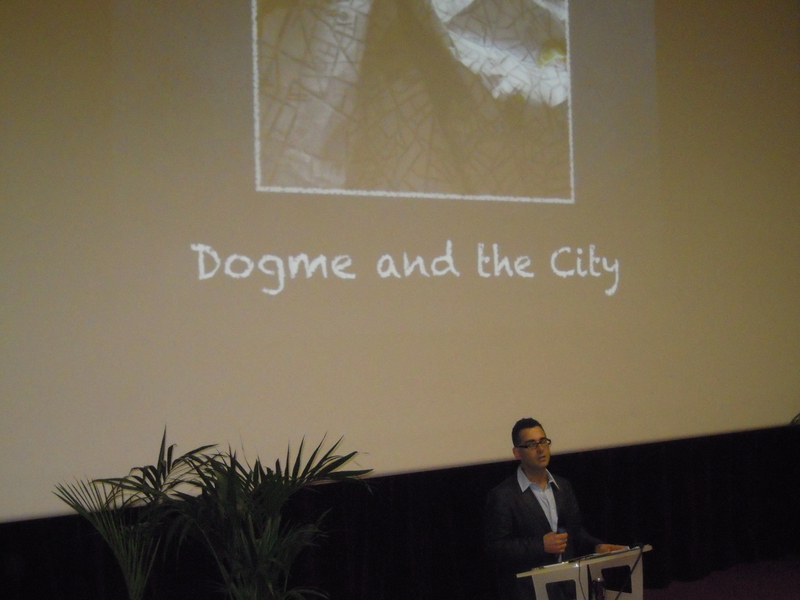 Right after, it was time for the one and only Luke Meddings and his plenary Dogme and the City. I really liked how Luke paralleled language learning and teaching and exploring the city of Paris. It was a really great pleasure to listen to Luke and talk to him afterwards – we also enjoyed his Greta Garbo impersonation! Thanks for a great plenary, Luke! Truly enlightening and I look forward to attending more talks from Luke in the future. 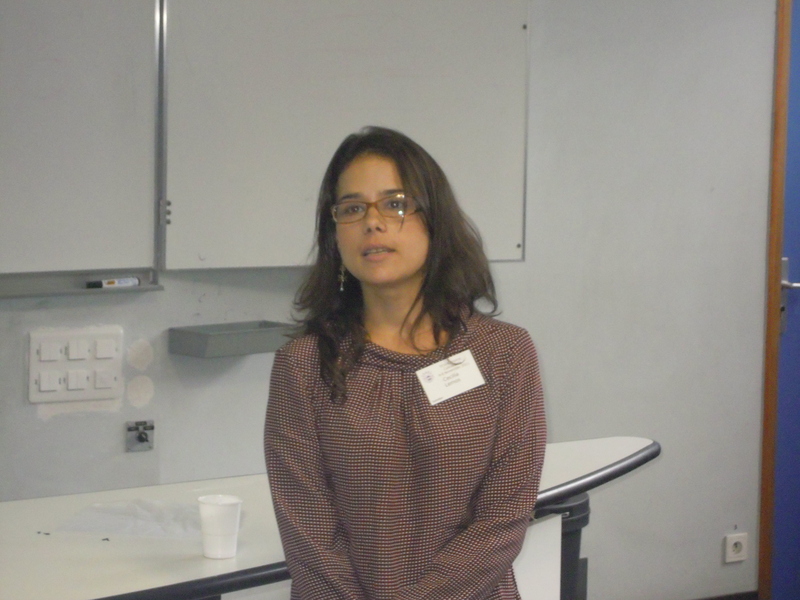 Then it was time for Marisa Constantinidis – her session was The Reading Challenge: Motivation & creativity in reading lessons. Lots of educators heistate to use reading texts in their classes because they think the students may get bored. Marisa showed us so many ways to utilise texts in class successfuly, and get lots of things from them! She weaved reading texts into so many activities and extended them to speaking as well. I loved Marisa’s ways of motivating students to read – it counts to a great extent on how teachers present a reading text for the students to approach it! A great presentation form a wonderful person and educator! 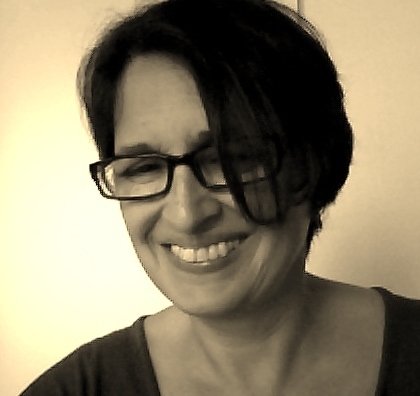 Read Marisa’s excellent blog for more great ideas – I am giving a link to her very imimportant challenge for people with disabilities, which she pointed out in Paris as well and I believe is a very important issue for all educators to keep in mind. Right after Marisa, the last session of the day I attended was Ceri Jones’s, You’ve Got Mail. She gave us very interesting ideas on how to use e-mail in class, as a means of communication with our students (letting them know what has happened in case of absence, for instance, but also as an exchange of language between the teacher and students). Ceri and her students did an excellent job in extending their linguistic abiltites and improving significantly in writing – something I found very interesting, as I communicate a lot with my students via e-mail, almost on a daily basis. I am definitely taking a lot of ideas from Ceri’s session! Read her super blog Close Up – great work there! Posted on November 12, 2011 November 18, 2011 by Vicky LorasPosted in edtech, education, ELTChat, iTDi, language, learning, lesson plans, music, teaching, TESOL France, writing, young learnersTagged Conferences, disabilities, Dogme, education, education reform, ELTchat, iTDi, music, poetry, reading, songs, students, teaching, technology, TESOL France, vocabulary, writing, young learners. Did you notice the telepathy ? Thank y o u, Elizabeth! It was great to see you there – happy you like the posts. TESOL France is definitely an annual must for me and a lot of educators out there, which is great! I Love reading this and so wish I was there! I saw the photos of Ania’s workshop and dig them so much! ooh, I have to admit – you just made me so jealous! This day sounds fascinating!!! Thanks for sharing it with me from afar though! What is a visual poem? Sounds up my alley! It was a great day : ) Mike has just posted the visual poem he showed us on his blog! I think you will love it. I will definitely be using it in my classes! I’m sure it was an insightful day because of the people involved. Do you have any particular suggestions or activities from one of the sessions that you’ll implement right away? From Marisa I love what she said about motivating them prior to reading, by giving them wordles for instance. From Ceri’s, I loved how she developed what seemed to be simple communication into a fantastic writing and speaking builder. Vicky you have such a great way of reporting all of this. It’s clearer and more informative than how I remember it. The visual poem from Mike’s session will stay with me for a long time. I really enjoyed everything he did, we all got so involved in the activities. The time passed so quickly. The same for Anna’s talk, time just raced by. Only thing missing was seeing you talk. I’ll have to come to Switzerland next year! 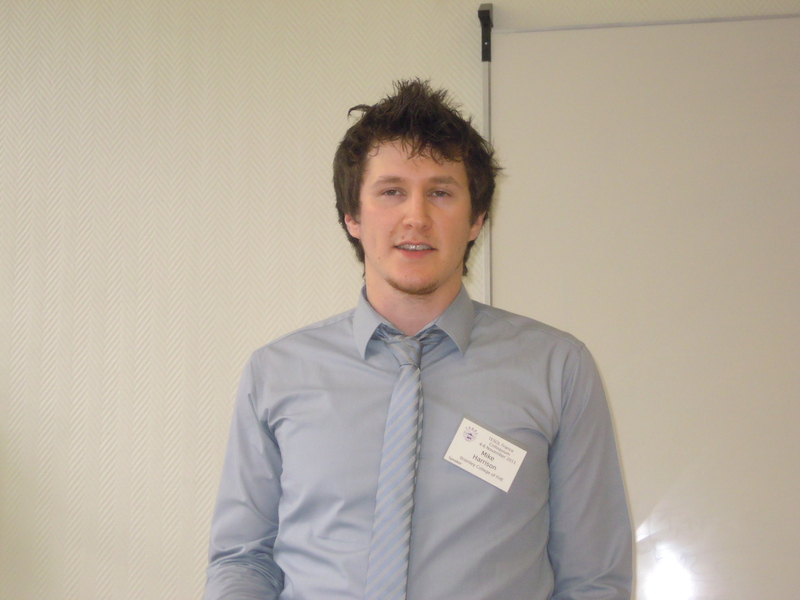 Hope to see one of your presentations again in the future! Thank you so much – it was so super to attend your talk for a second year in a row and attend many more for the first time! You rocked your presentation and I loved being a volunteer : ) Big hugs!!! Thank you so much for the write up and kind words, Vicky. I agree with Dale, you have a really nice style of reporting the sessions. Helping TESOL France to live on vividly in the memory a little bit longer. It was great to see you again and so soon! And a super great pleasure for me to attend your talk – it was truly amazing! Thanks for that : ) Hope to see you again very soon Mike : ) And thank you so much for all your kind words.